Best Buy offers the HP DeskJet 2624 Wireless All-In-One Instant Ink Ready Printer for $19.99. 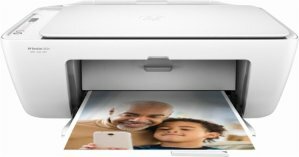 Features: Print from computers or mobile devices with this wireless HP DeskJet all-in-one printer. Copy and scan capabilities let you tackle multiple office tasks with the same machine, and the compact design saves space in small offices. This HP DeskJet all-in-one printer produces up to 7.5 pages per minute for a fast, reliable workflow.